An American University class is hosting a taco night at District Taco to raise awareness for aortic dissection. Can’t wait until Taco Tuesday for some delicious meat wrapped in warm tortillas? Then head to the Tenleytown District Taco on Monday, March 25, for some tacos with a cause. A public relations portfolio class at American University is looking to fill our bellies with warm tacos while also making a difference in the world. They are working with the John Ritter Foundation for Aortic Health to raise awareness about aortic dissections and educate the DMV about how we can all help. The John Ritter Foundation was founded in October 2003 after the sudden death of comedic actor, John Ritter. Ritter suffered from heart problems while shooting 8 Simple Rules for Dating My Teenage Daughter and was taken to the hospital for a heart attack. However, despite his treatment, Ritter still got worse. Doctors eventually diagnosed him with an aortic dissection, which is a tear in the aorta that allows for blood to flow between the layers of the aortic wall. Although Ritter was correctly diagnosed this time, he died during the surgery to repair the aortic dissection. Since then, the John Ritter Foundation has been dedicated to preventing premature death through research and spreading awareness about aortic dissections so that individuals at risk for the condition can get the care they need. A class at American University, one of the largest local universities in the area, is now looking to support the John Ritter Foundation, and they need your help. 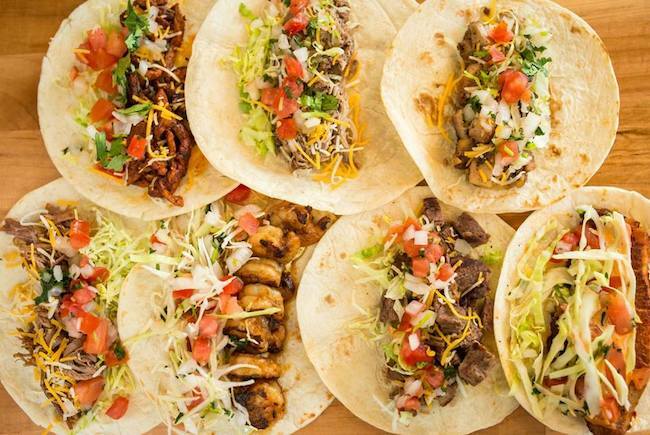 Head to the District Taco on 4600 Wisconsin Ave. NW, Washington, D.C. 20016, and come hungry. The students of American University will be hosting a fundraiser and as long as you mention the John Ritter Foundation at the door, 10 percent of your taco proceeds will go towards funding the foundation’s continued research on aortic dissections. So, don’t wait for Taco Tuesday! Have your tacos on Monday and let us know if you will be supporting the cause and indulging in some delicious tacos on Monday, March 25! Here's more from American University -- They're partnering with Comedy Central on a project that bridges the gap between comedy and social justice. Learn more here!